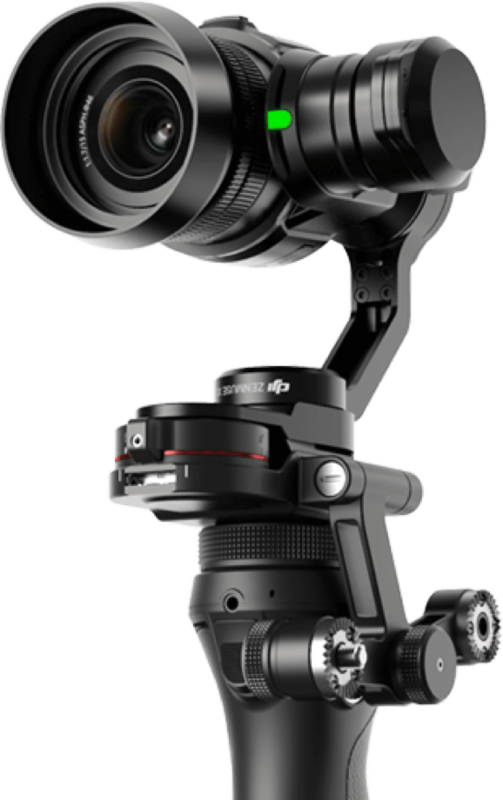 Osmo Pro and Osmo RAW are equipped with a highly optimized 3-axis gimbal, keeping your footage smooth as you move. Use them for long outdoor shoots, one-shots, or in tight spaces such as inside a car to make once impossible shots achievable. The Osmo Pro records 4K video at 4096×2160/25fps and 3840×2160/30fps and 1080p HD video at 1920×1080/60fps for slow motion. The Osmo RAW takes this one step further, recording lossless 4K videos in CinemaDNG RAW at 30fps with an average bitrate of 1.7 Gbps (Max bitrate of 2.4 Gbps). Both cameras capture 16 megapixel stills. Osmo Pro and RAW cameras are equipped with a high-performance Micro Four Thirds sensor optimized for low noise and color reproduction. Their sensor area is eight times larger than the 1/2.3 inch sensor used in the Zenmuse X3 and they have an ISO sensitivity ranging from 100 to 25600. The standard Micro Four Thirds mount allows the use of a range of lenses with equivalent focal lengths ranging from 24mm to 90mm. Giving you more freedom to shoot and more control over composition. The DJI Focus Handwheel is specially designed for the Osmo Pro and RAW, allowing you to control focus quickly and precisely. It's small and light, very easy to mount. The control knob gives a real sense of feedback, so you feel like you are turning a lens. Move it to the position you want for sharp, clear images. The Osmo Pro and RAW kits include four 1225mAh High Capacity Intelligent Batteries, a battery charging hub that charges four batteries simultaneously, a water proof carry case and more. It is everything you need for a professional shoot.